Teresa Heisser is a Board Certified Family Nurse Practitioner with experience in integrative medicine, a passion for treating hormonal disorders, and more than 20 years serving in various patient care settings. Teresa began her medical career in 1991 as a physical therapist specializing in complex orthopedic and sports injuries. After 10 years of practice, Teresa’s desire to provide a broader scope of care to her patients prompted her to return to school and pursue a career as a Nurse Practitioner. Teresa received both her Bachelors of Nursing and Masters of Nursing degrees at Regis University in Denver, Colorado. As a Nurse Practitioner, Teresa strives to provide competent and compassionate care to each patient she sees. She takes the time necessary to listen to each patient’s story, and is willing to go outside the traditional medical model to discover the “why” behind her patient’s symptoms. 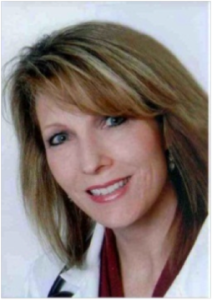 Teresa has worked as a Nurse Practitioner in various family practice settings in the Denver metro area. With experience treating a full range of primary care conditions, Teresa specializes in the diagnosis and treatment of hormone-related conditions in women and men, as well as conditions associated with disruptions in sleep, weight, energy, and mood. She has studied extensively with world-renowned bioidentical hormone specialist Neal Rouzier, MD, and is scheduled in 2015 to receive certification as an advanced bioidentical hormone replacement provider. Teresa is listed on Stop the Thyroid Madness and Hashimoto’s 411 as a Colorado preferred provider for her diagnosis and treatment of thyroid disorders and Hashimoto’s thyroiditis. Teresa has a strong interest in how genetics, environment, and nutrition impact one’s health and influence such conditions as autoimmune disorders or insulin resistance/PCOS. She often incorporates specific dietary interventions such as paleo, autoimmune, ketogenic, and/or specific carbohydrate diets as an essential component of her patient’s overall treatment program.Teresa’s practice philosophy incorporates the functional medicine model of assessing the whole person to determine the underlying cause of illness, addressing both health promotion as well as symptom management. She achieves successful patient outcomes by incorporating advanced laboratory testing, bioidentical hormone replacement therapies, and evidenced-based nutritional supplementation into traditional medical treatments.